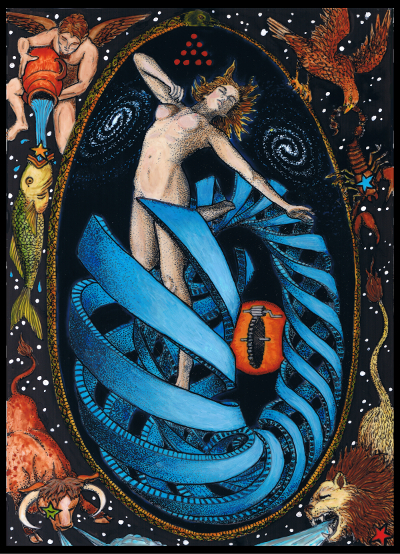 So I have been much focused and miraculously am now in the home stretch and almost done with the cards for the black and white version of the 78 card Tabula Mundi tarot deck. I just have the Princesses to draw and a few cards in progress to finish. Since it will take a lot of time to paint them all in color as each one takes many hours, in the meanwhile I’ll offer a small edition of them in black and white. This will be via a Kickstarter, coming VERY soon so stay tuned. If the goal for that is met the color version will be unlocked for reward or a second Kickstarter will go up for the color deck, depending on timing and how much I can get done at once. Once the black and white card versions are done they will need scanning and then I can post some of the minors. I’ve posted 20 of the 22 Majors and all the Aces here on my website, but for the rest of the minors my plan is to only put about half of them online. This is both to deter those with bad intent and also to give purchasers of the deck the pleasure of having surprises to discover. But I don’t want it to be thought that I cherry picked the best images to put up. So I wanted to offer people the chance to weigh in and vote on what cards of the minor arcana they most want to see. 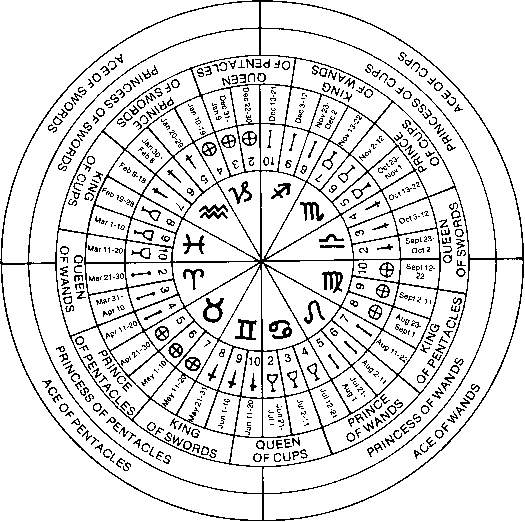 To keep the poll focused and limited to 12 options, and to make things interesting, the options are arranged by astrological decan. So each choice has five cards associated with it: the three minor cards of the sign plus the two courts associated with those decans. The court cards are associated with two decans of a sign plus one decan of a shadow sign not of the card’s main element. So the court cards each are listed under two different signs. I realize this excludes the Princesses but I have a special plan for showing them, so no worries there. This poll will go up here on this website, and also on Aeclectic Tarot, and to those who get the news letter (check your junk folder please or add info(at)rosettatarot(dot)com to your safe list! ), and will help determine which cards get put online for you to decide if you like the deck. I’ll probably post the top six choices of the three sources combined. Here we go, time to choose the decan that has the card or cards you most want to see. Show me the Tabula Mundi Tarot minors of the…. Please comment or email to tell me your selection – and share this post with anyone who might be interested – the deck is coming soon! Thanks for the opportunity to vote! Decans of Gemini, Scorpio, Leo, and Taurus, pretty much in that order. I am very excited about the progress. Decans of Leo: Five, Six and Seven of Wands, Prince of Wands; Knight of Disks (shadow). Kickstarter ready! The Decans of Cancer. Thanks!